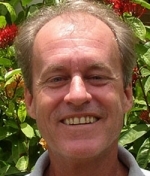 Alastair Yearwood, co-owner of Coldwell Banker St Kitts and Nevis Realty is a native of the islands. The family has over 350 years of heritage on the islands of St Kitts and Nevis. Alastair's education was mainly in the islands but was educated in the United Kingdom as well. Alastair returned to St Kitts and Nevis where he started his life around the water where in time he started his own business career. First building and operating the Oualie Beach Restaurant and moving on to being director of a number of companies throughout both islands. He has been involved in local island politics for years as well. Today Alastair spends his time playing cricket, involvement in the Nevis Yacht Club and being involved in all of his business ventures with brother John. His most important role is within the real estate business and vacation rental industry through their affiliate operation with the well known Coldwell Banker Group and his Oualie Beach Hotel. The Yearwood family is one of the most prominent names on the islands of St Kitts and Nevis and if searching for real estate or simply a vacation home, Alastair Yearwood is definitely the man to speak to!